Order from CRC Press, Barnes & Noble, or Amazon. What is the unemployment rate? How many adults have high blood pressure? What is the total area of land planted with soybeans? 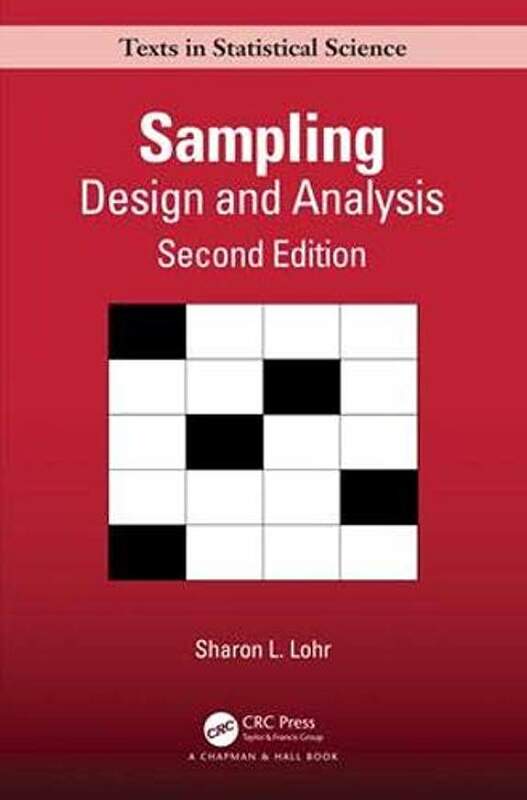 Sampling: Design and Analysis tells you how to design and analyze surveys to answer these and other questions. This authoritative text, used as a standard reference by numerous survey organizations, teaches sampling using real data sets from social sciences, public opinion research, medicine, public health, economics, agriculture, ecology, and other fields. The book is accessible to students from a wide range of statistical backgrounds. By appropriate choice of sections, it can be used for a graduate class for statistics students or for a class with students from business, sociology, psychology, or biology. Readers should be familiar with concepts from an introductory statistics class including linear regression; optional sections contain the statistical theory, for readers who have studied mathematical statistics. More than 450 exercises. In each chapter, Introductory Exercises develop skills, Working with Data Exercises give practice with data from surveys, Working with Theory Exercises allow students to investigate statistical properties of estimators, and Projects and Activities Exercises integrate concepts. A solutions manual is available. An emphasis on survey design. Coverage of simple random, stratified, and cluster sampling; ratio estimation; constructing survey weights; jackknife and bootstrap; nonresponse; chi-squared tests and regression analysis. Computer code using SAS® software. Online supplements containing data sets, computer programs, and additional material.